Set in modern day London and Berlin, Rose Lewenstein’s one act play deals with the pervasive impact of living in wartime Germany on Jewish escapees, from Nazi oppression through to the 21st century. Director Katie Lewis sensitively handles themes of Alzheimer’s, the emotional impact of the holocaust, and the problems of communication between mother, daughter and granddaughter. Holly Piggott’s set consists of chairs and plain brown boxes on a wooden platform, backed by the fragmented fluorescent outline of a window, symbolising the dysfunctional ‘heimat’, or home. In London, elderly matriarch Eva (Brigit Forsyth) is experiencing the onset of senile dementia and is moving into a care home to receive round the clock support. While looking through boxes of her discarded possessions, daughter Susie (Wendy Nottingham) stumbles upon a recording they made ten years previously documenting Eva’s experiences growing up as a Jew in wartime Berlin. Stepfather Arnold (Bernard Lloyd) believes it unhealthy to recount painful memories and decides to destroy the tape, to the devastation of Susie. Eva shares Arnold’s reservations: ‘They’re just stories. There will come a point when nobody can remember’ – a bitterly ironic statement in light of her Alzheimer’s. Eventually, however, Eva begins to open up to Susie. She recounts the fate of her Jewish father interned in a concentration camp, as told to her by The Red Cross, and discusses her memories of being part of the Hitler Youth Movement and her love for ‘The Blue Door’. Susie is also trying to reconnect with her fractious, free-spirited 18-year-old daughter. As a language student living in Berlin, Rosie (Jasmine Blackborow) is far too busy fighting with artist boyfriend Sebastian (Daniel Donskoy) to notice the tensions back home. Sebastian doesn’t want her to return to London for her final year of study, and Rosie takes solace in comfort eating and binge drinking. 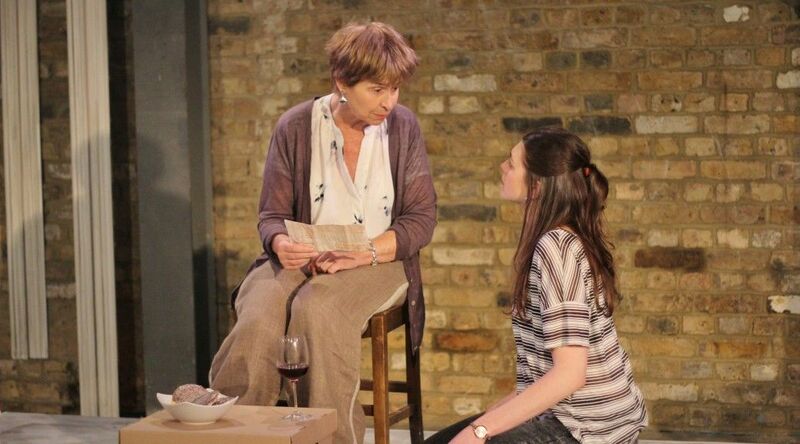 Shifting between tragedy and comedy, Rosie laughs in drunken embarrassment at Susie’s emotional breakdown, highlighting the generational divide between mother and daughter. The increasingly brittle Eva shifts from gamely demonstrating her youthful vigour to the family (at one point declaring, ‘I can touch my toes’) to frozen silence and aggression as her dementia worsens. Wendy Nottingham delivers a moving performance as Susie. She is stunned when Eva reveals that she has never loved her or anyone else, but notices her mother’s attempts at affection towards the dismissive Rosie through compliments and gifts. Now this is not the end is thoughtful, provocative theatre, that addresses the emotional scars of Jewish war survivors, the importance of preserving history, and the power of words. 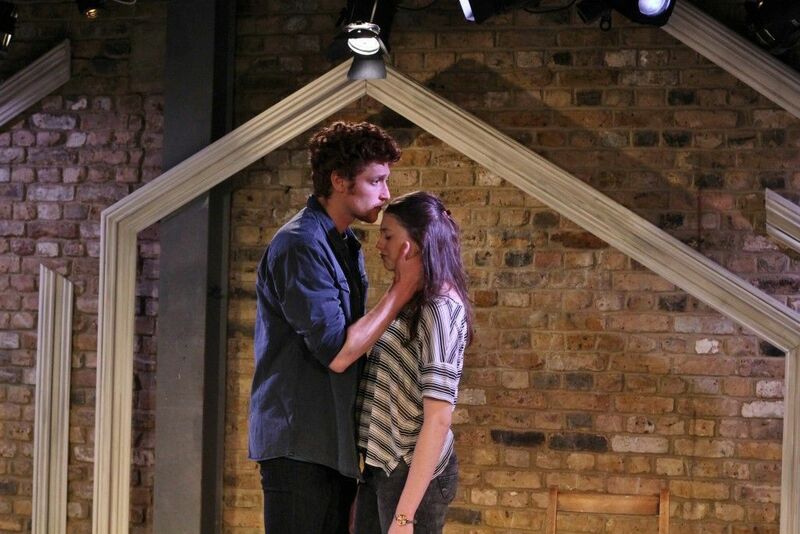 Now this is not the end is at The Arcola Theatre until 27 June.